Named one of the top 10 corn mazes in the nation by USA Today's 10Best, Summers Farm is the place to go for family fun in the Fall! With more than 45 activities, there is something for folks of all ages. Take a scenic wagon ride to our pick-your-own pumpkin patch, slide down the giant slide, jump on the jumping pillow, visit with our animals in the barnyard and so much more! Spend the day creating memories with friends and family. For a unique experience, visit the farm on Friday or Saturday nights and make your way through our 12 acre corn maze by flashlight. For more information, visit our website at https://summersfarm.com or give us a call at 301-620-9316. 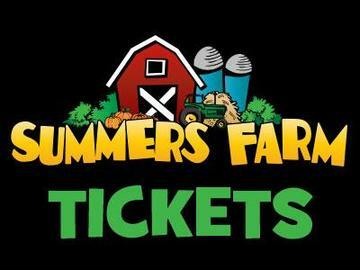 Like us on Facebook http://facebook.com/SummersFarm for the latest news from the farm and lots of fun giveaways! While we love our furry friends, we do not allow pets at the farm. Smoking or alcoholic beverages are NOT permitted at Summers Farm. Season Passes can not be used for school field trips.